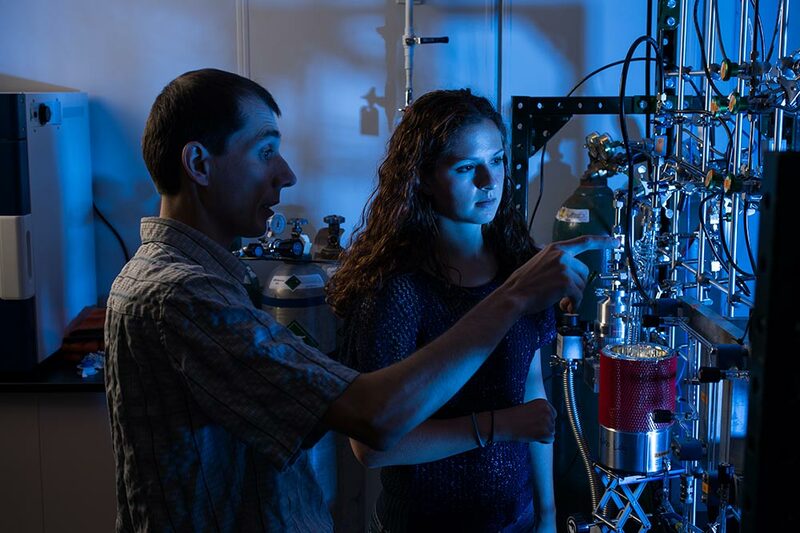 Environmental science major Avery Palardy '15 and Earth and Environmental Sciences department assistant professor Vasilii Petrenko examine a carbon 14 extraction line used to study methane found in ancient ice samples. The University of Rochester has been a pioneer in fields as diverse as geology, optics, medicine, economics, political theory, and human behavior. A compact campus works to our advantage. All units of the University are within a 10-minute walk or drive, facilitating a highly collaborative, multidisciplinary research environment. Research at the University of Rochester Medical Center — famous for its role in developing three vaccines now used worldwide — is a $232 million enterprise involving thousands of scientists, and more than 1,100 individual clinical research projects. A Blue Gene Q supercomputer, capable of more than 200 trillion calculations a second. An Omega 60-beam laser that can deliver up to 40,000,000,000,000 watts of power onto a target less than 1 millimeter in diameter for approximately one-billionth of a second. Tools like these are crucial assets for faculty and student research. Rochester's historic tradition as a center of manufacturing excellence, especially in optics and photonics, has helped it transition to a knowledge-based economy. And as the city's leading employer, the University has been a key catalyst. 212 inventors from 51 University departments and units filed invention disclosures in fiscal year 2012. When measured against its peers, the University of Rochester is one of the most productive institutions in the nation in terms of royalty generation. For more than 150 years, the University has been a pioneer in fields as diverse as geology, optics, medical education, economics, political theory, and human behavior. "The committee identified four broad areas of research synergy across the University: Data Science, Research Foundations for a Healthier Society, Light and Sound, and Energy and the Environment. In addition, we identified an emerging emphasis on community engagement and the translation of research discoveries into practical benefits for society." 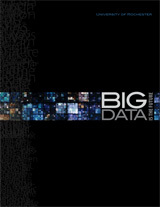 Data science is a defining discipline of the 21st century, and the top priority in the 2013-2018 research strategic plan. Student-to-faculty ratio provides a highly collegial research environment. Research funding received in FY2017. Percentage of undergraduate students within Arts, Sciences & Engineering who engage in research.